of conditions. Letting nothing get in the way of your lifestyle. Simply jump into a car that shares your appetite for action. 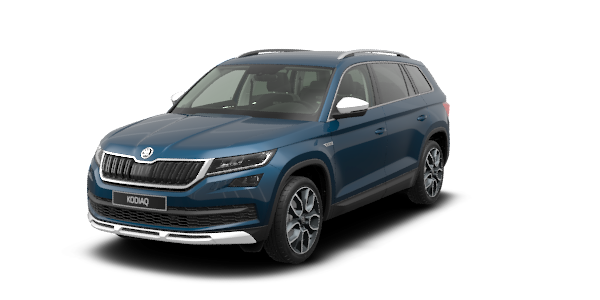 Armoured with all-round protective details, the ŠKODA RAPID SPACEBACK SCOUTLINE immediately announces its fearlessness. The reinforced front and rear wheel arches, spoilers and door sills act as a buffer against nature’s mood swings and unpredictable daily commutes. Over time, you come to realise that the important things in life ultimately boil down to a handful of essentials. We’ve picked some of them out for you. ​Not everything you put in your boot is going to be clean and neatly packaged. That’s life. However, with a plastic boot dish you can be sure that the interior will not be dirtier than need be. If the plastic dish gets dirty, simply take it out and rinse it down. ŠKODA Genuine Accessories – that’s what they’re here for. Your comfort and well-being are important to us not only when you’re travelling in your ŠKODA – we think beyond that. Our range of accessories includes a wide range of thermal mugs, flasks and other drinks containers to warm you up during the colder months of the year. When winter sets in, is your idea of fun a playground of snow-covered slopes? The Ski Sack deals with the headache of how to transport your sports gear. Made of waterproof material, it will not make the interior dirty. It is held safely in place, even if you have to brake sharply, thanks to its sewn-in safety belt. A distinctive car needs distinctive wheels. That’s why we recommend combining ScoutLine equipment with light-alloy wheels from the ŠKODA Genuine Accessories range. All wheels deliver the ideal balance of quality, functionality and aesthetics. No need to worry that your foot will slide of the pedal because you got your shoes wet. Stainless steel pedal covers fitted with rubber inserts to stop the driver’s foot from slipping even in the most complex of driving manoeuvres lend extra emphasis to the distinguished interior. While we’re not going to keep your car clean for you, we can at least do our best to make this chore as easy as possible. The rubber tunnel mat is a smart solution that stops exposed parts of your ScoutLine’s interior from becoming scuffed or soiled. Thanks to the cleverly designed network of meshing, hooks and shelves in the boot, there is no need to compromise between agility and practicality. The net system with securing hooks prevents your sports gear from moving around. Muddy boots from a walk in the park with the kids? Dirty shoes after clambering down a mountain? Don’t worry. The rubber foot mats guarantee that the interior will be protected from dirt, no matter how extreme the conditions. If you get the basic roof rack from ŠKODA Genuine Accessories, your car will be able to transport almost anything. Other roof systems and carriers can be mounted to the basic roof rack, such as bicycle racks, ski and snowboard racks or boxes, luggage cases, etc. The basic roof rack dimensions and shape are perfectly compatible with the RAPID SPACEBACK SCOUTLINE model. Full product/vehicle compatibility eliminates problems surrounding installation and use. You will also avoid the potential safety hazards that come with non-genuine accessories. The road to adventure is open. There’s nothing to stop you. Whether you are planning to conquer the slopes on your skis or snowboard, ride up hills on your bike, or transport tools to your cabin, ŠKODA Genuine Accessories transport systems are at your service. Any idea how to transport up to four bikes simply, safely and quickly? If not, we’ll clue you in. If you’re going on a cycling holiday, our car rooftop bicycle carrier is ideal, delivering maximum safety and efficiency. Saddle up! The ŠKODA Genuine Accessories luggage basket is perfect for transporting bulky loads on the roof of the ScoutLine that you would otherwise find hard to fit inside. Whether you’re going on a family trip or embarking on an expedition into the wilds, there’s no need to worry that you will have to leave any essentials behind. about your skis or snowboards. The aerodynamic roof box designed for skiing equipment will expand your car’s transport options without diminishing its stability. Naturally, it has been duly safety certified and can be securely locked. 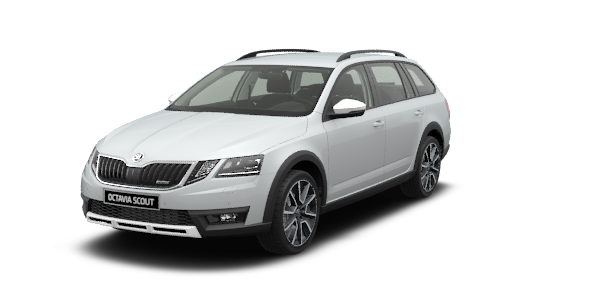 ​ŠKODA SCOUT and SCOUTLINE models are perfect match for contemporary adventurers. These cars are aimed at drivers who put active lifestyle on the first place, but don‘t want to give up on day-to-day practicality.